My debut YA novel, THE FIX, is in bookstores now. The official publication date is tomorrow, and I thought I’d share some of the things I’ve learned this past year, as I’ve gotten ready to become a published author. Join a debut author group. Promote other authors’ works. Do not underestimate the importance of connecting with others who are traveling the same road as you. You advise each other on tactics that work and don’t work, you vent and commiserate, you celebrate. Also, read books by your fellow debuts. Compliment their books online if you liked them. Email the author and tell him/her the parts you loved. It doesn’t cost anything and it can make someone else’s day. Of course it’s a competitive business, but someone else’s success does not equal your failure. If you need more of a reason to do this, then you can consider it good karma. Spending money to promote your book is inevitable. You may have thought that you could collect your advance and put the whole thing in the bank. For a lucky few debut authors, that might be the case, however, for the rest of us, you’ll be spending some (or all) of that money on book-related things—professional author photos, marketing materials, an outside publicist, perhaps. You probably shouldn’t quit your day job just yet. Know that you will become jaded. 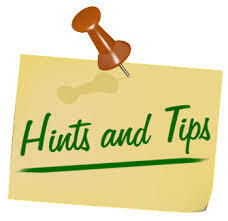 There are many unexciting things that must be done for the launch of a book. Things you’d expect like revising, editing, copy-editing. But also so much more: social media, blog posts, self-promotion, postcards to libraries, bookmarks. ARCs. Planning launch parties. Media. Bookstores. So. Much. To. Do. Your list of things will be endless. It will be very easy to forget that publishing a book is actually the thing you’ve always wanted—a dream come true. Try to remember that every now and then. Also, write another book. Friends and family will be excited and proud and they’ll say amazing things to you. Some people might also say insensitive things. As jaded as you may be by the publishing process (see #3), your friends and family are not. They truly believe that what you’ve done is an amazing thing. Your book is going to be on shelves. And they know you. That’s pretty cool. When it comes to insensitive comments (and they will come), remember that people say dumb stuff all the time when they don’t know how something works—you do it too. Try not to get too upset with them—most of them are not hurt you intentionally (it’s possible that some are, but try to chalk that up to jealousy). If your book is on a top ten list, featured at a major conference, or receives a starred review, you might feel pretty amazing, but you probably won’t. But if your book is not on a top ten list, not featured at a major conference, doesn’t receive a starred review (or receives a negative review), you will definitely feel horrible. This phenomenon is something I’ve labeled the “numb overcoat.” It’s a big, puffy, toasty warm, comfy overcoat. It protects you from the bad stuff—the snarky, cruel reviews, the inferiority complex when you’re not included at the “cool table”—made up of authors on best-of lists or those have top-priority books at your publisher. However, if you keep the overcoat on all the time, you’ll miss out on feeling the wonderful moments—holding your hardcover book for the first time, the positive thoughtful review, the outpouring of pride from your friends and family. This is a tough thing to learn, but practice taking off your overcoat so you can feel the good stuff. Most people won’t understand how much work it takes. They may think that now that you have a book published, you’ve “made it.” Maybe you even thought that. But you haven’t made it. It’s true that you’re now a legit author. You don’t have to worry so much anymore that people think you’re just pretending to be a writer while you sit in your pjs watching TV. But legit isn’t the end game. You need to write the next book. And the next. And so on. Separate writing from the publishing of writing. You love writing. It makes you feel alive. Remember when you first started writing it was for you and only you? It still is. That publishing stuff is separate. Go back to writing. Natasha Sinel writes YA fiction from her home on a dirt road in Northern Westchester, NY. She drives her kids around all afternoon, but in her head, she’s still in high school, and hopes that no one near her can read minds. 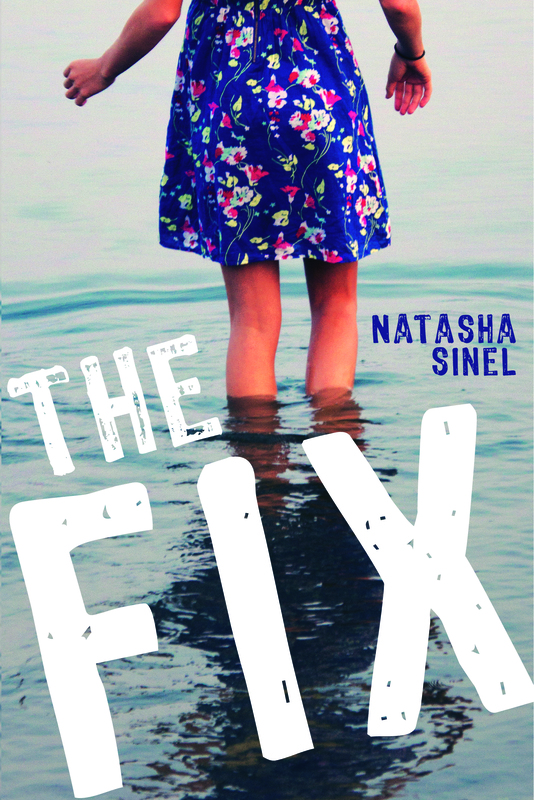 Her debut YA novel THE FIX comes out from Sky Pony Press tomorrow, September 1, 2015. You can buy one here. Second book releasing in ten days-and I’ve been stressing with all the details involved with that process. But, your post nudged me to stop whining, get stuff done, enjoy the process, and get the behind back in the chair-thanks and congrats! I can relate to people not understanding how much work goes into writing in general (not just novels!). I’ve been working three years on my novel (while also working full time) and everyone keeps asking why it’s taking so long. If they only knew! Thank you for you wise words. It’s my turn to bat in February. So many things to keep in mind and do even after having a book published! Thanks for sharing your knowledge and experience with us, Natasha, and congrats on your debut! Keeping it good and real. Thanks, Natasha! The idea that someone else’s success is not your failure is something I really, really feel is true in my writer circles. It’s a beautiful thing. This is wonderful advice. And so well said!